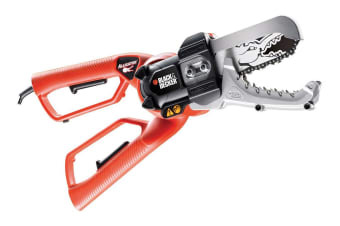 A revolutionary new tool that does the job of a chainsaw in an easier and safer way! 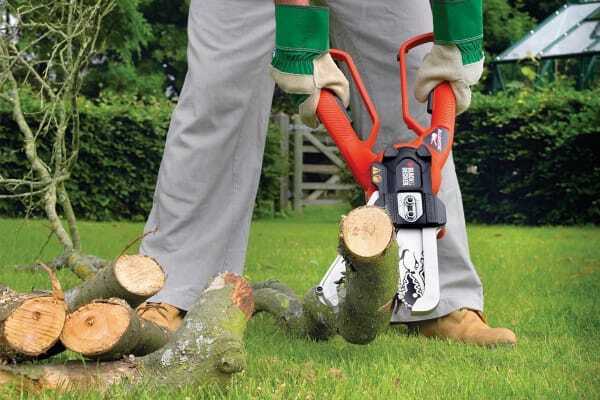 Powered Lopper featuring the cutting performance of a chainsaw in a safer, easier form. The Black & Decker 550W Alligator Powered Lopper puts the power of a chainsaw in a safe and easy to handle design. It provides advanced levels of control and safety compared to intimidating chainsaws. A fully enclosed bar and chain with patented jaws protect you whether you’re tackling tough branches or smaller twigs and shrubs. Though it works in a simple fashion like a manual lopper, it has added power and a larger cutting capacity. With the Black & Decker 550W Alligator Powered Lopper in hand, you can keep even large gardens looking neat, tidy and well maintained always!